Camp Paradise, a ministry of Willow Creek Community Church, is located on 1000 acres in the wilderness of Michigan’s northern peninsula along the Taquamenon River. The ministry serves dads and their sons/daughters through summer sessions at Camp as well as other opportunities to connect and make memories all year long. This thriving ministry has for over 40 years, influenced countless lives as campers, volunteers and staff members. The camp, staff and campers having benefited through the efforts of the volunteers and donated materials. 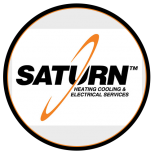 Saturn Heating Cooling & Electrical employees having experienced the benefits of working in a biblical community. The project management skills necessary to support remote projects, 460 miles away in a wilderness environment, yielded invaluable benefits for the management of local projects. The owner of Saturn Heating Cooling & Electrical received gratification for the application of resources and gifts entrusted to him in support of a ministry close to his heart. Visit http://www.willowcreek.org camp to learn more about Camp Paradise.